As Microsoft Partners, we are well informed about Microsoft Operating Systems and Office Line Products. With a variety of combinations to choose from, we know which bests suits your needs and can discuss the possible options from an informed perspective. Being a Microsoft Certified Partner also grants us access to exclusive partner information about the cloud, as cloud computing has become a major part of IT needs. This allows us to familiarize ourselves with the purchase and implementation of cloud solutions. If you are ever inclined to switch, we will be more than able to help navigate you through the process. Aruba Networks is a leading provider of next-generation network access solutions for the mobile enterprise. The company designs and delivers Mobility-Defined Networks that empower IT departments and #GenMobile, a new generation of tech-savvy users who rely on their mobile devices for every aspect of work and personal communication. As a partner we are well informed on the options that offer the best possible implementation in your environment. As a Dell Certified Partner, we are extremely knowledgeable of Dell’s entire business computing sector. From servers and server racks, to workstations and laptops, we are aware of every product they offer and know which fit your needs best. We believe in having the right hardware in place and that’s why we use Dell. Our Megapath (formally Speakeasy) partnership work hand in hand with our other parters to ensure we have the utmost knowledge of VOIP phone systems. As with any phone porting, it always behooves the user to be familiar with the service provider. At Smart Computing, we are more than capable of implementing and troubleshooting your VOIP phone system so that you are never without vital telephone communication. In terms of product sales, these partnerships legitimize our expertise in the area of telecommunications. We know which phones are suited for which situations and can purchase them for you to serve that specific purpose. Dell™ SonicWALL™ security solutions enable organizations of all sizes to secure their network, systems, users and data with a deep level of protection that won’t compromise network performance. Exacq Technologies is a leading developer of open architecture, Video Management System solutions for security and surveillance applications. IQinVision is a world leader in IP network camera products; IQinVision is renowned for image quality, stability, and reliability in the harshest environments. Cisco is the worldwide leader in networking that transforms how people connect, communicate and collaborate. Offices that has internet most likely is using a Cisco product. Cisco has expanded into VOIP products which we use in conjunction with MegaPath. MegaPath approved Cisco phones have reliable and easy to use by almost any end user. Viruses and malware have become an issue since the dawn of common household computers. For years multiple anti-virus/anti-malware companies have surfaced to offer their products. After testing so many companies found one that works the best for the business world. 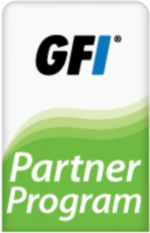 GFI offers different protection over multiple operating systems. If you have an on-premise server or using a cloud environment we have a solution for you. As business costs for company meetings gradually increase, there might have to be cut backs. Whether it is having less meeting to save on cost or having employees paying for travel expense. With LifeSize there does not have to be the physical face to face meeting, but instead a video conference meeting from the comfort of your own home or office chair. With us becoming LifeSize partners we can offer products that fit their business needs.